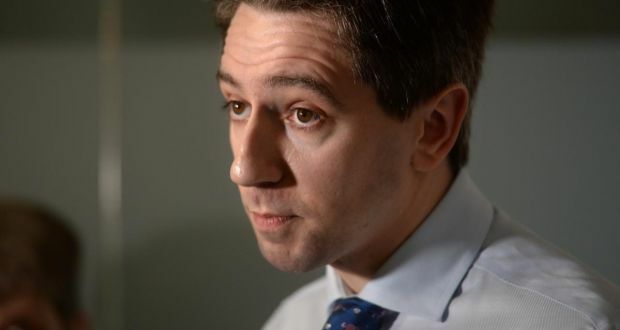 Minister for Health Simon Harris is expected to come under increased pressure on Wednesday over the spiralling cost of the National Children’s Hospital when he appears before the Oireachtas Committee on Health. A report today in The Irish Times showing how the Children’s Hospital Project and Programme Steering Group – a high-level body overseeing the €1.7 billion-plus project – consistently flagged issues in relation to rising capital costs as far back as October 2017 is likely to be seized upon by Opposition politicians as the blame game continues. Confidential minutes of the steering group, which is separate to the National Paediatric Hospital Development Board from which Tom Costello last week resigned, show senior officials in the Department of Health and the Health Service Executive present for discussions on rising costs, disputes with the contractor, and contingency plans to offset escalations, including philanthropy strategies. Mr Costello’s board would have liaised with that steering group. The minutes show that the contractor provided a new estimate in relation to costs on August 24th last. Mr Harris has maintained that he became aware of concerns around the cost on the 21st of the same month. He has said he became aware of the actual figure in early November. As was the case with some of the biggest political controversies in recent times, it is the “who knew what and when” questions that are propelling the issue from controversy to crisis. Details of the overspend emerged just before the Christmas recess, at a time when Oireachtas committees could not sit down and examine the finer details. Tensions between the Department of Public Expenditure and the Department of Health have risen over the last two weeks. At the Oireachtas Committee on Finance on Tuesday, Minister for Public Expenditure Paschal Donohoe said “it would have been helpful, obviously, to have been aware of the issue as it was developing” before adding that “Minister Harris was doing what he should have been doing, which was to understand the scale of the issue”. But Mr Donohoe is also under fire, given his role as the Minister in charge of the purse strings, and given the fact one of his senior officials, Paul Quinn, sits on the finance subcommittee of the hospital board. Fine Gael TD Kate O’Connell said she found it “disturbing” that Mr Quinn – who is also the Government’s chief procurement officer – never flagged concerns with the department. In a statement to this newspaper last Friday, the Department of Public Expenditure said Mr Quinn was acting in a “personal capacity” and indicated that the accountability lay with Mr Harris’s department. The spokeswoman said that the members of the National Paediatric Hospital Development Board “have a responsibility to act collectively for the NPHDB in decision-making and communication, and an obligation to observe its confidentiality arrangements”. “The Department of Health, as the accountable department, established reporting and Governance arrangements for the project. The NPHDB provided regular updates to it on the project,” the statement read. Opposition politicians are not convinced. “This line that’s coming from government that the head of public procurement was sitting on this board in a private capacity is completely bogus,” Labour TD Alan Kelly said. The question of who is ultimately responsible has been explored in depth at Oireachtas committees. At the Committee of Public Accounts, Comptroller and Auditor General Séamus McCarthy was asked where he thought the accountability lay. “I would have to say that it seems to be a project belonging to the Department of Health,” he said. The secretary-general of the department, Jim Breslin, was asked the same question. “Anything that happens within the health service must ultimately be accounted for by the department and the Minister,” he said.